This photography exhibition explores Louisville through the eyes of local photographer, Bud Dorsey. Capturing thousands of moments over the past five decades. Dorsey encapsulates life in Louisville, showcasing compassion, love, pride and struggle. The exhibition coincides with the book Available Light: Through the Lens of Bud Dorsey which is produced by the Louisville Story Program. The preview reception for Available Light: Louisville Through the Lens of Bud Dorsey will be held on August 24th at the Muhammad Ali Center. Doors will open at 5:30. It is open to the public. 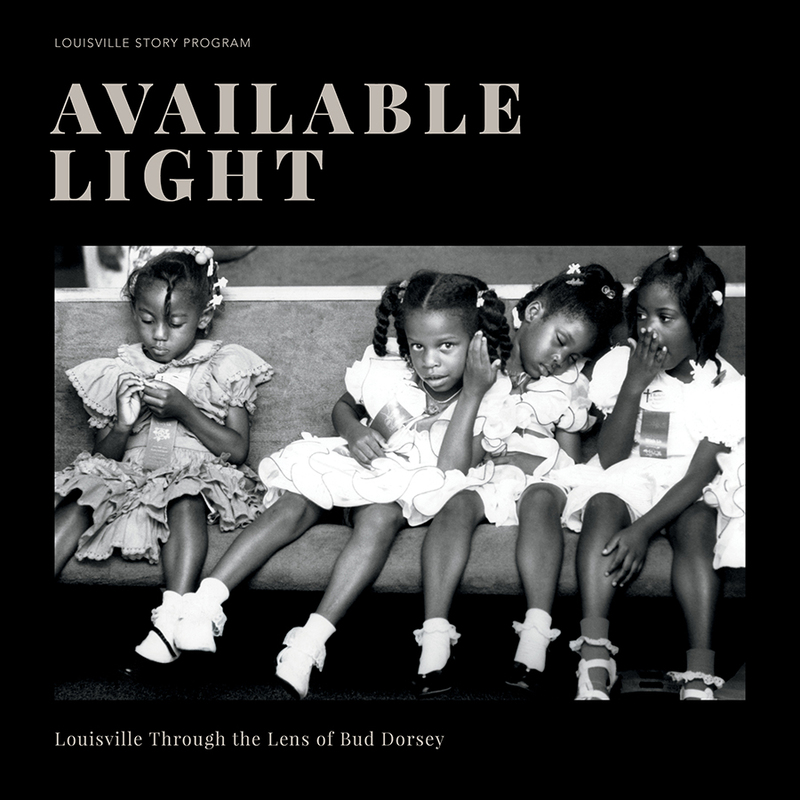 This exhibition coincides with the book Available Light: Louisville Through the Lens of Bud Dorsey which is produced by the Louisville Story Program. The Louisville Story Program strengthens community by amplifying unheard voices and untold stories. We partner closely with overlooked Louisville residents by providing extensive writing and oral history workshops and intensive editorial support, culminating in professionally-designed documentary books, exhibits, and radio programs in which our authors tell the stories of their lives and communities in their own words. We then work to ensure the broadest possible audience for their work, and to leverage their achievements into additional opportunities for them. Celebrate the legacy and work of the late Howard L. Bingham, Muhammad Ali’s best friend and personal photographer. In the Shadows features never-before-seen photos taken over four decades of Howard’s career, capturing significant historical events in the United States, from social activism to pop culture, while revealing intimate photos of Muhammad Ali. This exhibit illuminates the relationship that the Ali Center shared with Howard in his role as the Center’s Honorary Curator of Photography and as an unforgettable longtime friend of Muhammad Ali.